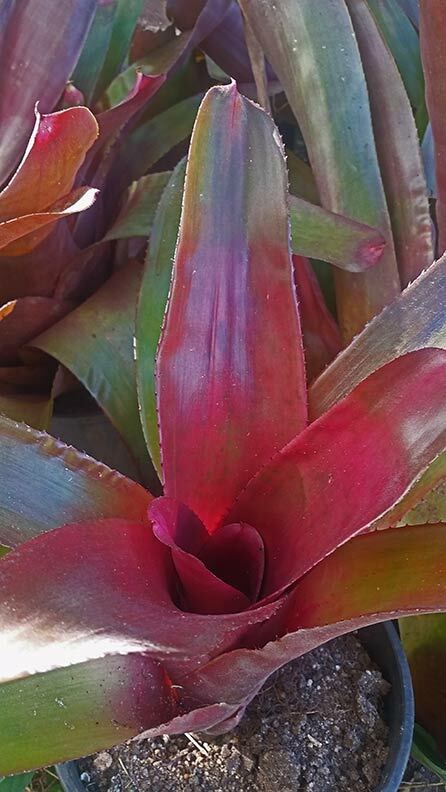 Bright and bold, this big burgundy coloured bromeliad will be a highlight of your garden. Best in part shade. During the growing season it is advisable to keep water in the funnel at the centre of the rosette most of the time. Keep the soil barely moist - only water when the soil is dry to the touch.